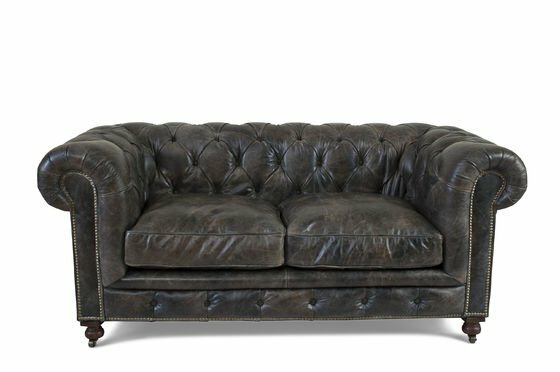 This two-seater retro sofa will give your living room the atmosphere of an English gentlemen's club. 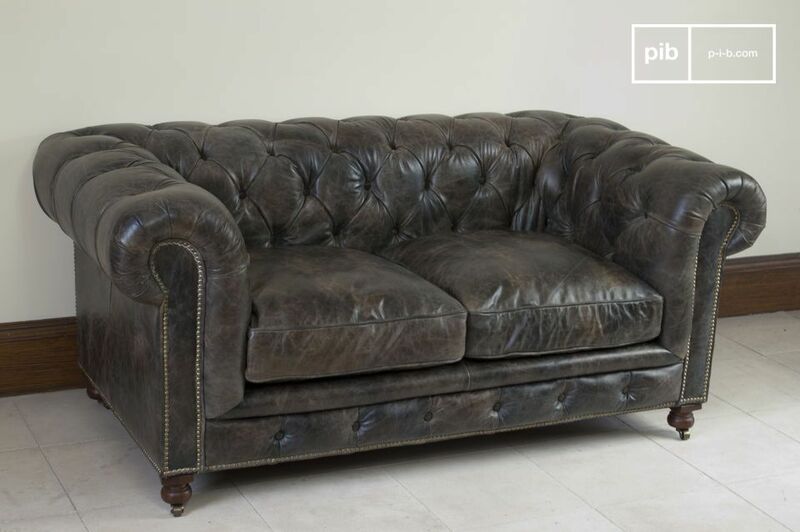 The top-grain leather has been given a slightly aged look and has been attached to a hardwood frame. 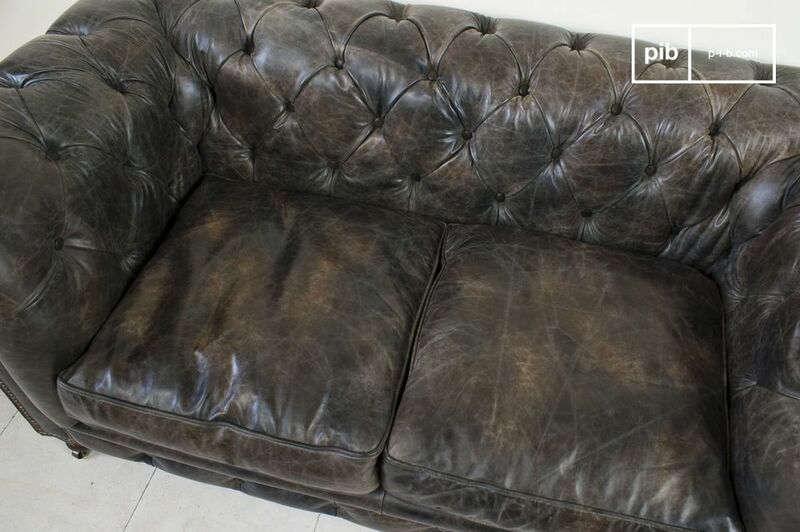 The brass nail trim found on each arm, gives this sofa much more of a retro feel than most Chesterfields. 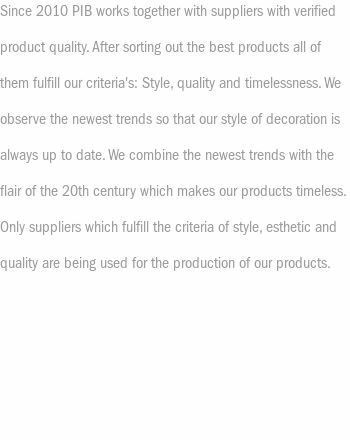 The padded backrest and arms, and firm seating, ensure that this is an excellent leather piece of great quality. The seat cushions are filled with down fill feathers and 35kg/m3 of foam on intertwined criss-cross straps. The backrest and arms are filled with 27kg/m3 of density foam. 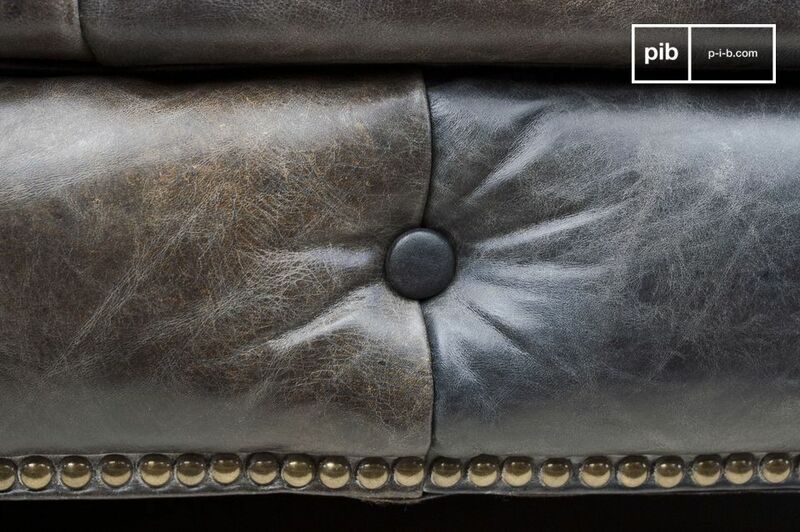 Upholstered with 100% buffed calfskin leather from European hides, which is 0.9 to 1.1mm in thickness, the leather has been dyed and nailed by hand to the beech wood frame. 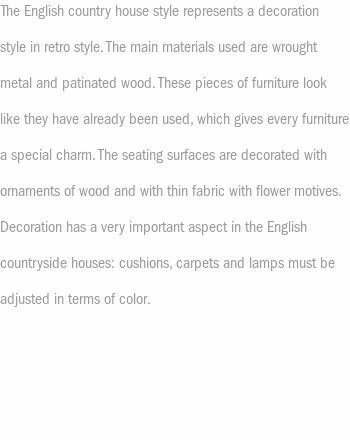 Comes with removable solid oak legs. 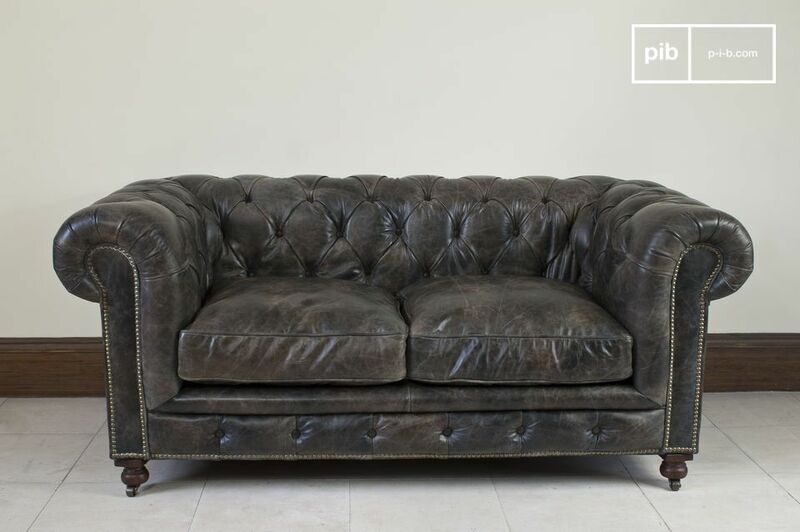 This industrial vintage leather sofa is available in other colours and sizes upon request: contact us.